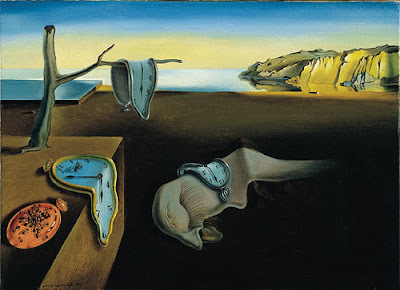 Gerry Dawes's Spain: An Insider's Guide to Spanish Food, Wine, Culture and Travel: Gerry Dawes's Persistence of Memory Melting Watch Awards (With tip of my sombrero to Salvador Dalí, whose genius persists in memory). Anytime I read a travel piece I am ready to book a ticket. I'm such a sucker for any cultural experience. Sounds amazing! I've done Europe, much of Asia, and North Africa. Hands down my favorite trip was a food and wine tour to Tuscany. Really had the time of my life and it's like every local is there to help you enjoy. Next trip you should check it out. I have been to Tuscany two or three times and yes, it is wonderful, but this is a blog about Spain, not a place to push your own travel agenda in such an underhanded way. I am sure your cooking vacations are just great, so why not push them on Italian-oriented blogs. God, do you know how many of these self-serving attempts at comments I get every week?